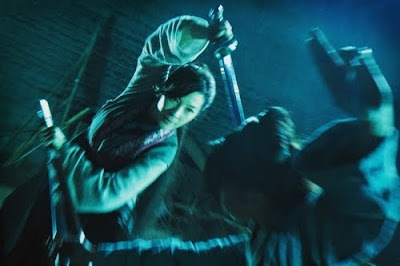 The second trailer for John Woo and Su Shao-Bin's 'Reign of Assassins,' is now below. Set in ancient China, Zeng Jing(Michelle Yeoh) is a skilled assassin who finds herself in possession of a mystical Buddhist monk's remains. She begins a quest to return the remains to its rightful resting place, and thus places herself in mortal danger because a team of assassins is in a deadly pursuit to possess the remains which holds an ancient power-wielding secret.